Novartis can no longer rely on its cancer drug Glivec to prop up sales as generic competition begins to bite – but new medicines are already making up for lost sales, according to Q2 figures. Sales were flat compared with last year’s Q2, holding steady at around $12.5 billion and net income was also flat at around $1.8 billion. Following US patent expiry earlier this year, sales of Glivec have fallen 25% compared with last year’s Q2, although it is still Novartis’ biggest cancer drug with sales of just under $900m. The Swiss pharma has high hopes for its Entresto (sacubitril+valsartan) heart drug, which seems to be finally gathering momentum following disappointing post-launch uptake late last year. Sales were just $32 million in Q2, not a massive leap forward from sales of $17 million in the first three months of 2016. Novartis says it is investing an extra $200 million in Entresto sales representatives after it was recommended in treatment guidelines in the US and EU. The US guidelines position Entresto as standard of care for symptomatic patients with heart failure with reduced ejection fraction. Sales are expected to be around $200 million for the full year 2016. Just how far Entresto will go is a matter for debate. Leerink initially forecast peak sales of $6.8 billion in 2026, but earlier this year slashed this to $2.6 billion, citing a survey showing doctors may be unwilling to switch patients from older therapies to the new drug. Novartis predicts peak sales of around $5 billion a year. The company’s Cosentyx psoriasis drug, launched last year, grew strongly in its three indications, with sales of $260 million. 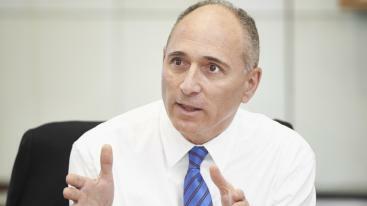 CEO Joe Jimenez said Novartis plans to invest in its Alcon ophthalmology unit in a bid to increase sales. Overall he said the company’s performance was “solid” despite the Gleevec patent loss, and noted the good news about Entresto, strong data from Cosentryx and lung drug Ultibro.